It's my turn to post some goodies on the Trendy Twine Blog. I am featuring some Thanksgiving Nugget Treats featuring APB - Hello Fall Planner Stamp Set and Totally Pumpkin Trendy Twine. I created the box using my Cameo and a file from the Silhouette Store - I decorated the box before assembling using the APB - Hello Fall Planner Stamp Set. I did this for 8 boxes. I stamped the fall inspired greetings along the side and end of the box, and did the same on the bottom incorporating the images from the set. 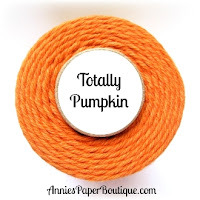 After assembling the holder and adding patterned paper to the nuggets, I created a tag to add to the treat which I used Totally Pumpkin Trendy Twine to tie it together embellishing with a little jingle bell. How cute are these stamps? Stop by the Boutique and grab these goodies to make your own treats! Thank you for stopping by today! Hope your Sunday is Sensational! Very pretty treats!! Love the super fun tags and Hello Fall planner stamps. Fabulous treats! I love the packaging you created with the stamps! Those tags are adorable as well! Awesome job on these! What a fun way to decorate those candies! I love the papers you used to wrap them. Cute way to use those stamps too. You always make such adorable treat containers! Love these nugget holders and love those sweet stamps you used. The little faces are sooooo cute! 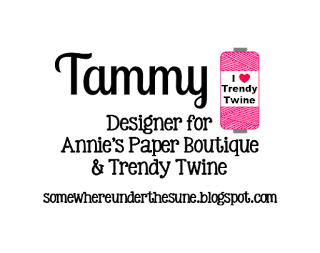 Love your tags and love how you stamped the sentiments all wavy across the sides. SO fun! These look terrific Tammy! A cute little treat! These are AWESOME Tammy!!! Love the stamping you did on the boxes! Awesome project!!! Look at these yummy and adorable treats! I love how you used the stamps to decorate the box! SO CUTE!